Basic Duties: To install, repair and maintain overhead and underground electrical power lines and auxiliary equipment. This position is the highest of a multi-step progression from Apprentice Lineman to Journeyman Lineman and is expected to know all aspects of Journeyman Lineman duties for the Company. Lower steps in this classification are expected to progress into all aspects of these duties. •	Strings, splices, transfers and sags wire in energized or de-energized circuits and connects wires and transformers as specified or directed. Shortens or lengthens lines by adding or removing wire, using a variety of types of splices, connectors, sleeves or clamps. Regularly works above ground on poles or steel towers using climbers and safety belt or operating man lift equipment, boom truck or other specialized equipment. Uses a variety of underground locating and fault-finding equipment. •	Routes or re-routes power lines over, under or around existing lines and structures, regularly working above, on, or in close proximity to energized lines. Selects and uses a variety of “hot line” tools and makes use of rubber gloves, line hoses, mechanical jumpers, fiber guards, blankets and other protective devices as specified. Works on all voltages as required throughout the system. •	Installs, removes, transfers, maintains and/or repairs cross arms, pins, insulators, guys, transformer and switch racks and other overhead pole and Underground Residential Distribution (U.R.D.) equipment using a variety of hand tools, equipment and power tools. •	Installs and removes transformers, including primary and secondary current transformers and self-contained meters; cut-outs, disconnecting switches, circuit breakers and other overhead line and U.R.D. devices, rigging block and tackle where necessary or working with ground crew and winch to raise or lower equipment. May install street and area lights, working with primary and secondary voltages. May change transformer locations on maps. •	Performs line switching or sectionalizing as directed. Performs emergency repairs, phases and connects circuits under load; performs load checks and balances feeders as required. •	Inspects lines, poles and equipment for signs of damage or wear and reports deficiencies. •	Assists in carrying poles, digging holes, piking and guying poles and other such operations involved in the setting or replacing of poles; may erect steel towers. 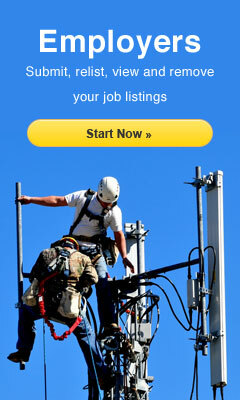 •	Assists in on-the-job training of apprentices and other crew members in maintenance and construction of power lines. •	May troubleshoot electrical problems on Company and customer equipment. •	Work involves moderate physical exertion, heavy lifting, and exposure to inclement weather, as well as the hazardous conditions of working with high-voltage energized lines and equipment. •	Able / willing to travel long distances on short notice, when required. •	Able / willing to work for extended periods in various locations, when required. •	Able / willing to lift in excess of 50 lbs, when required. •	Able / willing to work outside, frequently in inclement weather. •	Able / willing to work Overtime, when required. Minimum Requirements: Requires journeyman level experience installing and maintaining overhead and underground power lines. Requires valid commercial driver’s license (CDL), first aid certification, competency in CPR and pole top rescue. Other combinations of education/experience may be considered. Candidates must submit to drug, alcohol, and background screening and must pass a physical exam. PowerGrid Services, LLC provides equal employment opportunities to all employees and applicants for employment without regard to race, color, ancestry, national origin, gender, sexual orientation, marital status, religion, age, disability, gender identity, results of genetic testing, or service in the military. Equal employment opportunity applies to all terms and conditions of employment, including hiring, placement, promotion, termination, layoff, recall, transfer, leave of absence, compensation, and training. We do reserve the right to refuse to hire or discontinue the employment of undocumented workers. Interested applicants please contact Adrian Rasberry at 256-783-2298 or by email at arasberry@powergridservices.com.